← Vitamix Cashew Cream: Does presoaking make a difference? As far as I can tell, Magic Bullet started the single-serving blender trend in 2004 with a blitz of ridiculous, but apparently effective, infomercials. These blenders have proven extremely popular, as more and more people are looking to eat wholesome foods on the go. However, the Magic Bullets are notorious for developing leaks after steady use, so Vitamix is bringing quality and durability to this space. I’m personally fine with blending in a classic container and then pouring into a cup, but I know many people love these cup blenders. I even know people who have kept a bullet blender alongside their Vitamix. Now the Vitamix can do it all. You don’t have to clean the container before leaving the house, and the blade base is dishwasher safe. The small size is also convenient for blending small amounts. The adapter also works with the Explorian Series (E310 and E320). Vitamix does not advertise it, but, I’ve tested, and the 8-oz Ascent containers work with this adapter. I know this is an old post, but do you know if this works with the Vitamix 6000? 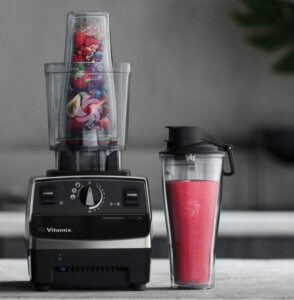 How about Vitamix ‘Super 5000’ ? Does this work with Vitamix The Quiet One? Thanks! The Vitamix Personal Cup Adapter will not work with Blendtec machines. However, Blendtec sells a similar personal blending cup that works with their machines. Hi Adam, That was a very insightful article indeed. 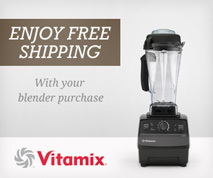 I have a pro 750 Vitamix Blender. The standard jar sizes with this machine are too large for blending smaller quantities like that for chutneys and wet masala blending (Indian Cuisine). I would like to know if the Personal Cup Adapter 20oz can work with the 8-oz Ascent container, as it is much suitable for my requirement of small portions. Does the 8oz adapter work on g series 7500? Might it also work with VM0102D? Will the personal cup adapter work with the VM0102? I’m so excited to learn that the 8oz container works with this adapter. Thank you!